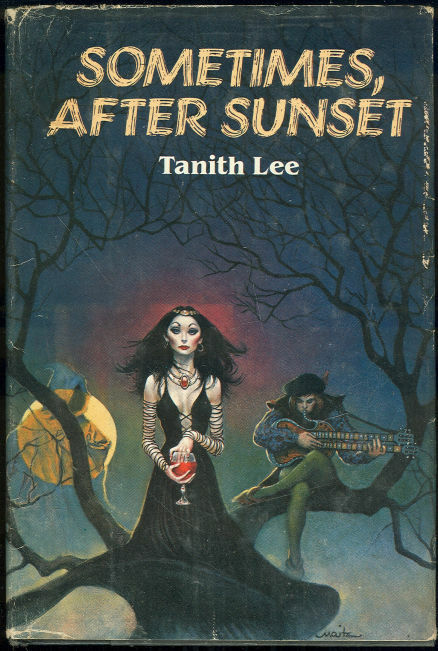 Tanith Lee died the other day at the age of 67. Most people I know have never even heard of her, let alone read any of her books or short stories. From what I’ve heard, she was struggling with getting any of her new work published. Hers was an unusual genre and style. Sometimes it was very difficult to read and understand where she was going or where exactly she’d just taken you, but at the same time it was always fun and thought-provoking. My first exposure to Tanith Lee was a series of short stories called, “Red As Blood, Or Tales from the Sisters Grimmer” back in 1983. It contained some amazing twisted fairy tales that I immediately fell madly in love with. From there I went on to read “Sometimes, After Sunset”, before moving on to “Night’s Sorceries” which was the fifth and final book in her Flat Earth series. Only last year I read the Paradyse series for the first time. With 90 novels and over 300 short stories to her name, I am woefully behind. I fully intend to get to work on correcting that situation. Her writing has a sort of ‘Modern Art in Literature’ feel to it. You have to stand there and look at it for a while. In just the right light it makes all the sense in the world, but when the sun shifts just a little, you may find yourself lost in another realm, twisted around backwards walking through an upside down haunted forest only to step a few more paces to find your place again and wondering what the hell just happened. It felt weird, but in a good way. I loved that about her. I loved the uniqueness. I loved her voice and her style even if I didn’t always quite get it. Most of the time I was right there with her, wrapped in the images and sounds. She was one of the few who could actually make me see the things in my head she was describing no matter how obtuse. No one else ever made me ‘see’ science fiction the way Tanith Lee did. It’s no secret that Sci-Fi is NOT my genre of choice for that reason. Visualizing future technology has never come easy to me. Tanith could do it though and she seemed to do it so easily. I’m not sure why, but it worked for me. Perhaps it was just something in the female psyche we shared. In that regard, she inspired me to write in such a way as to have my readers do more than just see the people and places of my own works. Many have complimented me on that ability and told me, “It was like I was right there while I was reading!” I have Tanith to thank for that, for making me so much more aware of including not just what is visually in a space, but what is there in the other senses. What does the air smell and taste like? What sounds are steady or just passing through? How does that glass of milk feel in the characters hand? Something that very, very few people know is that Tanith also inspired me on a more spiritual basis. Not so much the actual beliefs, as I have NO idea what sort of spirituality she practiced, but with her name. Tanith. Tanith is likely derived from the goddess Tanit who was worshipped in what is now known as Tunisia. She was the equivalent of the Goddess Astarte, and later worshipped in Roman Carthage in her Romanized form as Juno Caelestis. I was really getting interested in Paganism around the same time I discovered Tanith Lee’s work. One of the first things many people do is to adopt what is called a “Craft name”. It’s the name you are known by during ceremonies, a name of your choosing, a name you use to keep your mundane identity a secret. The name Tanith fascinated me. It was unique and magical sounding all on its own. But at the same time I didn’t want to copy it completely so I combined it with my Totem animal, the Raven. Using the first three letters of Tanith and the last three letters of Raven reversed, my Craft name became Tannev. Before now, I don’t think more than a handful of people have ever known how that name was created. Even though I no longer consider myself a pagan, I still hold that name Sacred, as part of who I was, the things I learned during those ten or so years and how those teachings lead me to where and who I am today. Tanith inspired me to write my own twisted fairy tales. She inspired me to write with all my senses. She inspired me to believe and be part of the magical realm. She made it okay to write weird things that maybe only I would ever really understand. My heart goes out to her family and friends during this sad time. R.I.P. Tanith, you were a wonderful and will ever be an inspiration to me. 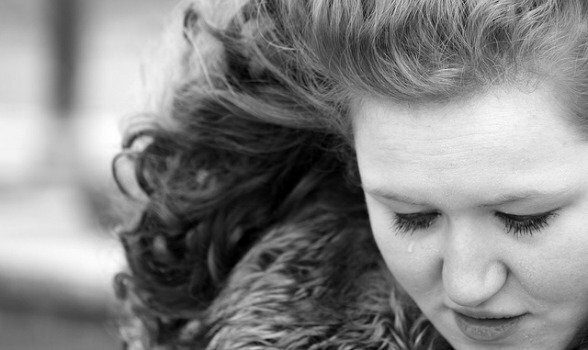 You probably don’t know about my latest article for The Good Men Project.